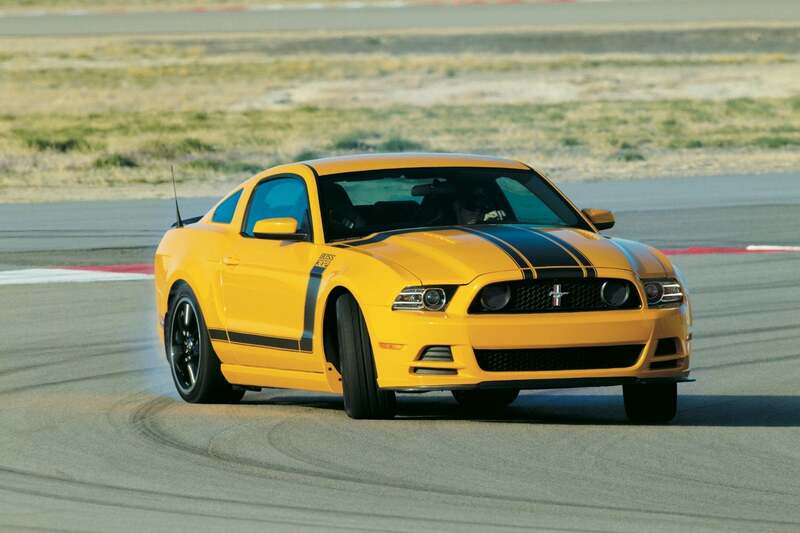 Of all the legendary names in the history of the Ford Mustang, one stands apart: Boss. Mustang Historian Donald Farr takes us on a pony car journey in Boss Mustang: 50 Years. Our Book Garage series features the books every gearhead and enthusiast needs in their library. You know, one of the things about car books, is that if they’re of a certain ilk (e.g. coffee table books – and Boss Mustang: 50 Years is nearly one of those) it’s really hard to see anything new in them. It seems, if you’ve spent years staring into car books, as I have, there’s the same pictures over and over again. You get to feeling very Ecclesiastical. 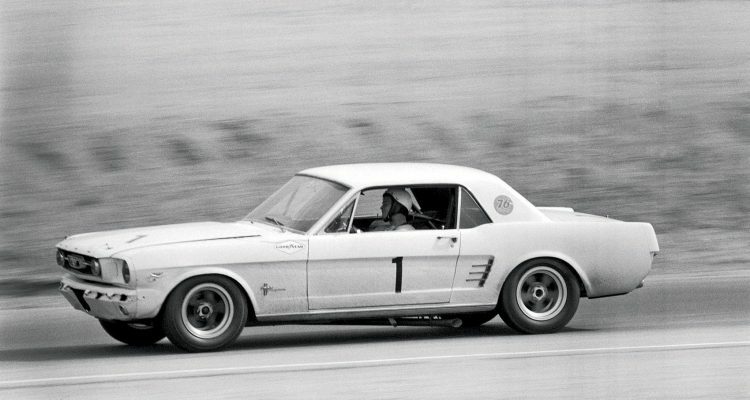 Boss Mustang: 50 Years, written by this fellow named Donald Farr, is nearly a coffee table book, like I said. 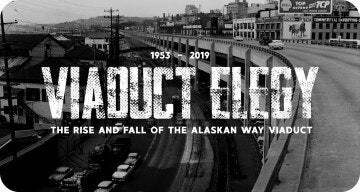 It’s kind of largish in format (one giveaway) and it is loaded with pictures (another tell in the coffee table book game). And that is where the similarity ends. This is actually a good book, all around. Oh sure, if you’re a Mustang person or a Ford fan, then this book is pretty much a gimme for your library. But if you like racing in the 1960s, automotive history, or just like cars in general, you will probably end up buying this book. 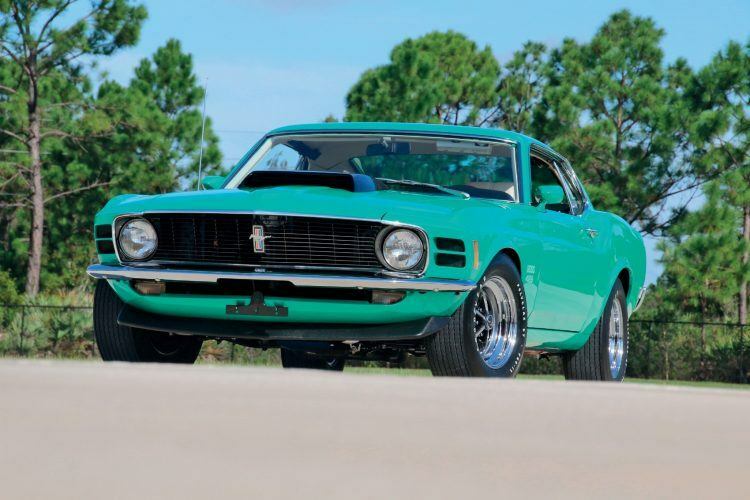 Originally meant to homologate the new Boss 302 engine and option package for SCCA Trans-Am racing, the Mustang Boss 302 debuted in 1969, being built in limited numbers for the street through 1970. Farr, a renowned Ford historian and Ford hall-of-fame inductee, spent time interviewing the designers and engineers who were closest to the Boss in preparation for the book. In other words, not only is there the occasional new shot here and there, the whole thing is pretty in-depth. Boss Mustang: 50 Years, chapter 9 cover photo. Designed by Larry Shinoda, the Boss cars easily stood out from their less potent stablemates. Race-bred powerplants, a standard front spoiler, and bold graphics were all Boss signatures. Photo: Donald Farr. It tips the scales at 176 pages and is slightly larger than a sheet of printer paper. Hardback, of course. Speaking of, the paper they use is rather nice, as are the fonts, layout, color choices, and all that sort of technical printing stuff. There’s whitespace, but not too much; the captions are well-written and easy to figure out which one goes with which shot. (Without having to resort to using numbers or other remedial methods for the navigationally and deductively inept). Boss Mustang: 50 Years, page 43. With its Trans-Am characteristics, the 1969 Boss 302 Mustang established a new performance image for Ford. Street and track modifications were common. This one, for example, has a lowered suspension and wider tires. Photo: Randy Ream. No, the Mustang is clearly a better car for this ilk, but it’s also pleasantly apparent that Farr doesn’t think the Mustang lives at the top of the mountain; just at the top of his mountain. Farr, by the by, is an editor at Mustang Monthly and has written a bunch of other Ford and pony-car related books. In Boss Mustang: 50 Years, what Farr is really after, is a complete history of the pony car, from its late 1960s origin in Ford’s boardroom, to its Trans-Am successes, and then untimely demise in 1970. Boss Mustang: 50 Years, chapter 6 cover photo. Photo: Ford Motor Company. As you would expect, the book is thorough, without bogging you down with “inside baseball” stuff; like 369-page chapters on VIN codes and junk like that. Farr does give out specs, both relevant and fan-oriented. 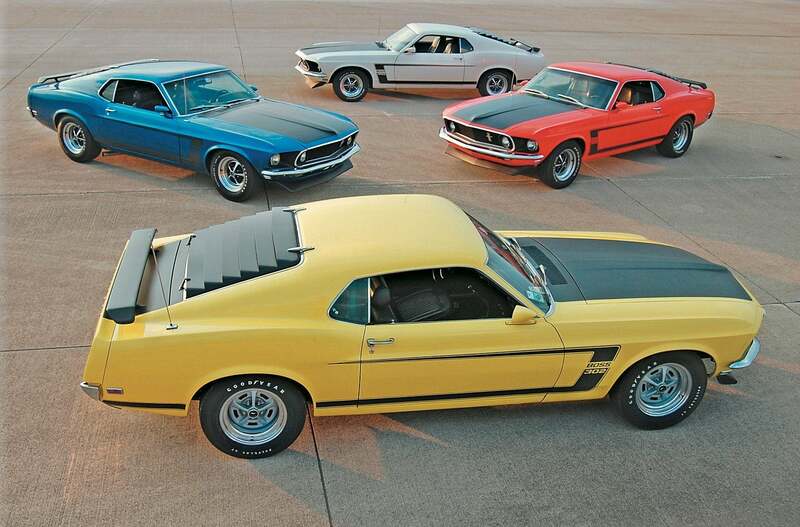 For instance, did you know that in 1969 there were 850 Boss Mustangs made? Sure, I bet some of you do. But do you know how many came in Wimbledon White? Royal Maroon? Or how about this: do you know how many Ford made in Silver Jade? One. One! And get this: It was a factory painting mistake that was finished as a 429, then shipped to a Ford dealer in Colorado in 1970. Boss Mustang: 50 Years, page 30. In 1969, the Boss 302 Mustang came in just four colors: Bright Yellow, Calypso Coral, Acapulco Blue, and Wimbledon White. Photo: Billy Jay Espich. The book is split about 50/50 between the classic, 1960s Mustangs and the newer ones that received the Boss moniker about 40 years later. There’s a really nice development section about Ford’s refining (and refining and refining) of the reborn Boss. They didn’t just slap some stickers on it, grab a truck exhaust out of the parts bin, and call it good. Ford doesn’t mess around and Farr shows this in detail. Although a modern car maker today, Ford was resurrecting a beloved family name. If they went with a “good enough” approach, fans would have noticed. 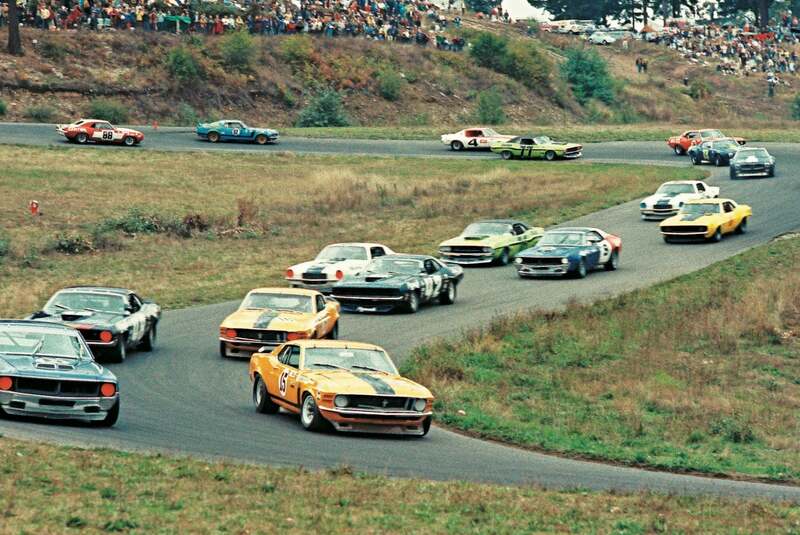 Ford eventually made them and sold them and raced them; and there was much rejoicing in Mustang clubs throughout the land. I rejoiced myself when I saw the heading on page 139 that read “Racing Improves The Breed,” something I have been saying for years. That section of chapter 12 deals with the frustrations the Boss team faced on the track at the time. Boss Mustang: 50 Years, page 158. This 2013 Boss 302 Mustang is making full use of its 444 “ponies” on the track. Photo: Ford Motor Company. At the end there’s some nice appendices with tech specs and bibliographies and such. Better to put them there. You know where to find them (if a bench racing discussion is in full swing) because they don’t clutter up the body of the written content. All in all, this is a good book for your coffee table. Boss Mustang: 50 Years is published by Motorbooks and, at the time of this writing, retails for $40.00. But you can purchase it on Amazon now for much less. 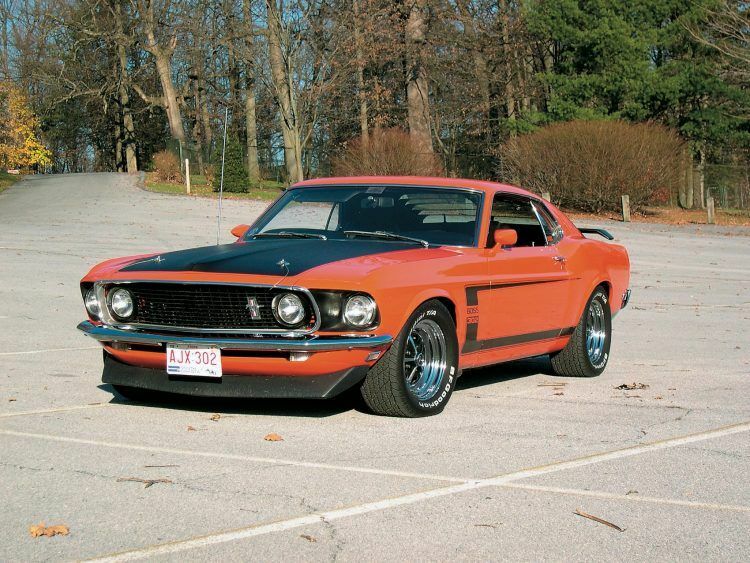 No Comments on "Automoblog Book Garage: Boss Mustang: 50 Years"